My name is Dave Macbeth and I live in Rexburg, ID. I have been the proud owner of a Willys pickup for most of my adult life. Several different trucks. 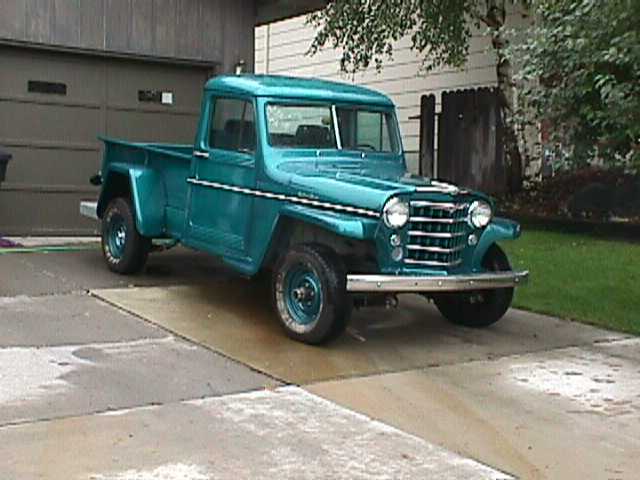 Right now I have a 1957 Willys pickup that my 15 year old son and I are restoring. It has an original hurricane 6 engine and is still running on 6 volts. We have completed the restoration minus a speedometer and some work on the headliner. There is nothing I like more than to take this "old friend" out for a drive!